With the majority of its key protagonists operating under pseudonyms and layers of monochromatic face paint – not to mention working within a genre that is inherently esoteric, fiercely independent and often vehemently opposed to mainstream exposure – it’s not surprising that black metal produces very few household names. Indeed, even within the parameters of the wider metal community only a handful of participants have really become anything close to recognisable - Varg Vikernes of Burzum for example, those larger-than-life characters from Immortal and, if we’re pushing the definition of ‘black metal’, perhaps the ever-provocative Dani from Cradle Of Filth. Vocalist, clothes designer and occasional actor Kristian ‘Gaahl’ Espedal may not be likely to grace the covers of Q, NME, or even Metal Hammer any time soon, but there’s no doubt that his profile has been steadily on the ascent during the last decade. Though undoubtedly best known initially thanks to his turbulent personal life, in recent years the controversies that once surrounded him have been slowly dropping away to reveal one of the more fascinating artists – and eccentric individuals - within the extreme metal scene. 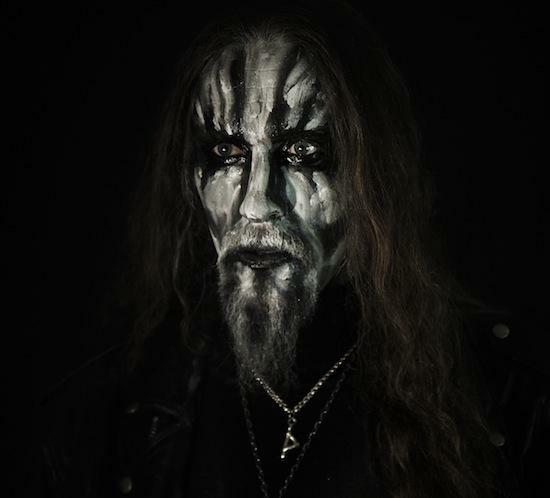 Born in the mid-seventies, and growing up within the isolated Western Norwegian valley that still bears his family’s name, Gaahl first made a name for himself in the mid-nineties within a black metal scene that was still rapidly expanding following a highly influential period of criminal action and landmark album releases. Debuting as the main creative force behind Trelldom (meaning “Slavery”) - a band whose solid but traditional early efforts would be overshadowed by the idiosyncratic excellence of second album Til Et Annet… and third effort Til Minne… - he was later inducted into Gorgoroth, a successful group led by former schoolmate Roger ‘Infernus’ Tiegs, a guitarist who had grown up in the same region as the singer. Gaahl would find himself increasingly thrust into the spotlight, in part due to the band’s inherently controversial nature (a point highlighted by a now-infamous 2004 show in Poland that shocked the nation’s press and led to lawsuits against the participants) and in part thanks to his own extra-curricular activities, which led to him being jailed on more than one occasion for the use of “extreme violence”, with accusations even being made of ritual torture and blood drinking. As if that wasn’t enough, in 2008 Gaahl announced that he was gay – no small decision for a leading figure within a sub-genre where homophobia is not only relatively common among fans, but where more than one high profile musician has actually been jailed in connection with the deaths of gay men. The wheels for Gaahl’s eventual departure from Gorgoroth would be set in motion when he and bassist/songwriter Tom ‘King’ Visnes effectively fired Infernus from his own band, the founding member later confirming his ownership of the name in a court judgement that left King and Gaahl temporarily without a band. Initial attempts to create new material together stalled and Gaahl soon announced a departure from black metal, working instead on clothing designs, performing in a national theatre piece entitled Svartediket and even appearing in a relatively high budget Norwegian movie entitled Flukt (“Escape”). Perhaps more importantly he continued to work with Wardruna, a truly remarkable outfit created by multi-instrumentalist and former Gorgoroth drummer Einar ‘Kvitrafn’ Selvik. Eschewing the frenzied assault of black metal, the project has nonetheless always endeavoured to achieve a similar level of intensity, focussing on immersive and ritualistic folk acoustics, making use of traditional instrumentation and clean sung vocals, and taking all its thematic inspiration from the Elder Futhark, the oldest set of Norse runes. Kvitrafn himself has shown himself to bear the same single-minded determination that is seemingly shared by all those who have passed through Gorgoroth, and speaking to Gaahl – currently holed up in Espedal once more – our conversation soon turns to the relationship between the two men. With both actively engaged with ancient Norse spirituality (despite being famed as a Satanist, Gaahl is quick to point out that his spiritual beliefs lean rather closer to Paganism) one wonders how two such individualistic characters found consensus on a subject that is so open to interpretation. Speaking to Einar recently, he expressed that he was always careful to balance what he’d learnt from his academic study of the Elder Futhark with a more intuitive, spiritual understanding of them. As Gaahl explains, his relationship leans rather closer to the latter. Clearly the pair are doing something right. Since Wardruna’s first performance at the Viking Museum in Oslo, the band have built a reputation for their powerful, transcendent live shows and likewise, new album Runaljod – Yggdrasil has been graced with the same high praise as their 2009 debut. Indeed, while the band appear to strive for authenticity, utilising field recordings and using non-musical objects appropriate to the lyrics as instruments (such as torches, stones and trees), the group’s music obviously resonates well beyond the boundaries of those who understand the Old Norse lyrics or even those with an existing interest in Northern European history and spirituality. As the vocalist explains, somewhat surprisingly, returning to a central creative role in his other projects is not something he relishes, preferring these days to instead provide a ‘shadowing’, or supporting, role to other artists’ visions. It is seemingly this wariness that stalled his continued creative endeavours with long time writing partner King until last year, when the duo returned with God Seed, a band also featuring Stian ‘Sir’ Kårstad, sometime guitarist of Trelldom. 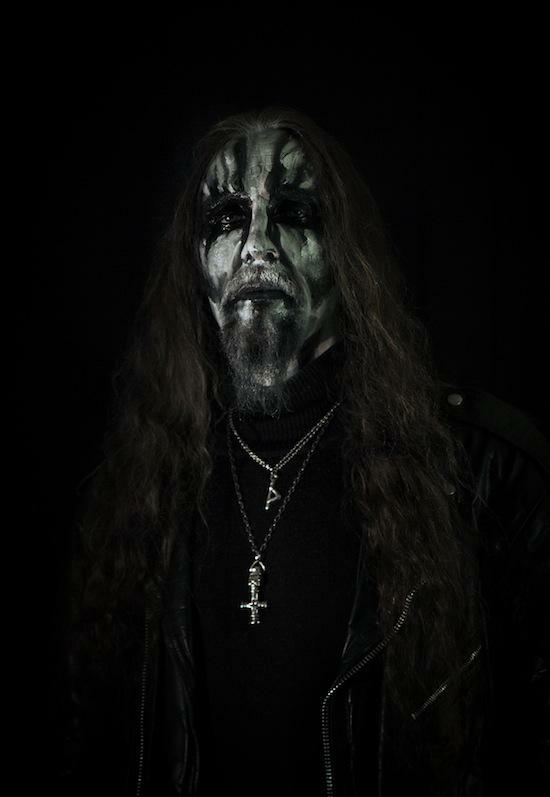 What then of Trelldom, a band which is entirely concerned with Gaahl’s philosophies and beliefs? It’s now six years since the project’s last album, Til Minne..., are we likely to see a follow-up given the deeply personal nature of the project? Speaking of which, now that he has become something of a public figure what does the vocalist feel about the various strong opinions about him? He is, after all, a somewhat divisive character, vilified in almost as many quarters as he is praised. Gaahl’s most famous appearance in the media to date undoubtedly remains his interview in Sam Dunn’s popular documentary Metal: A Headbanger’s Journey, where the vocalist made a legendarily stony-faced appearance, answering questions with single word replies (“Satan”, “Freedom”) while frostily drinking a glass of wine. How does he feel about being pigeonholed by a minute’s worth of film from a decade ago? It’s a position the vocalist clearly enjoys - all the same, there’s no getting away from the fact that his somewhat otherworldly persona has become, for many fans at least, a focus of admiration rather than anything else, a point highlighted by the number of fans who attempt to get an autograph or a photo with him at shows. So how does this unlikely celebrity status suit him? It’s probably fair to say that Gaahl himself has something of a reputation for humourlessness. For those who have spent time in conversation with him that might seem strange, because there are not many interviewees (particularly in the black metal scene) who laugh as frequently during conversation. Speaking of a lack of humour, one wonders how the singer views his time within Gorgoroth, a band that has been built on a militant Satanic ethos since it began in 1992. Given that the band had already made its name with a trilogy of classic albums before Gaahl joined, was he able to make his role as creative as he wanted, or was he acting as another shadow? Indeed, given the conflict and distance inherent to the collective character of the Gaahl/King/Infernus(/Kvitrafn) line-up of Gorgoroth (which was noticeable even back in 2005, Infernus admitting to this writer that he actually had little or no idea of what his bandmates’ tastes in music were), it’s perhaps strange that Gaahl is shying away from offering his input now that he’s in a more ‘healthy’ setting. With that in mind is Gaahl glad that he ended his hiatus from black metal and returned to the scene from whence he first emerged? A more one-off project, though one that proved equally demanding in terms of commitment, was Gaahl’s aforementioned role in last year’s movie, Flukt. In it he depicts a ruthless archer in an enjoyable and beautifully shot escape/revenge film that plays out a tiny bit like a medieval European version of Mel Gibson’s Apocalypto. One would presume that having to portray a character as a director envisions it and sticking to a pre-written script would suit Gaahl’s current disposition and approach to creative work. As he explains though, it wasn’t as if he had no control over what he was doing within the movie. So is acting something he could see himself continuing with on a more full time basis if the opportunity arose? In an interview a few years ago King complained to me that on some days Gaahl would come into the studio, spend the whole day staring into space and then go home having not recorded anything, simply because he could not find the right inspiration. With that in mind does the singer see himself as a difficult person to work with? Indeed, during this current period of creativity – which has seen Gaahl return to his drawing and painting after a one year break – he has returned to Espedal to once again work in solitude, leaving Robin in Bergen. It is now almost five years since the two began seeing one another (“He’s turning 23 now so it’s a huge part of his life,” Gaahl ponders), an event which coincided with Gaahl coming out publically. In that time Gaahl’s sexuality has been much discussed, to the extent that he even picked up an award as ‘Gay person of the year’ at the Bergen Gay Gala. Generally speaking, how has the reaction been by the extreme metal scene? Open mindedness isn’t necessarily a trait that defines the black metal scene - in fact, the godfather of the genre Euronymous specifically spoke against it (though certainly not, it should be pointed out, in relation to sexuality) – and intolerance to some extent remains a key dynamic within the movement. It’s a compelling position, but one that seems likely to bring increasing pressure to Gaahl’s own creative process as the years go on. As it happens, the singer has himself been analysing the mental hurdles that have increasingly hampered his artistic drive in recent years.